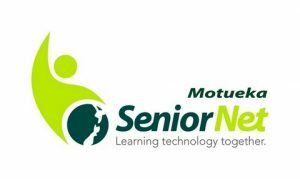 When an item is identified by the Executive Committee, as surplus to needs, it will be advertised on this website for tender and an email to all current Motueka SeniorNet members advising of this will also be circulated. A classified advertisment informing the public of the tender will be placed in The Guardian newspaper, or other newspaper as determined by the Executive Committee, at least 5 days prior to the tender closure. All tenders will close at 4pm on the 14th day of each month. Tenders will only be accepted by email to our official email address. All items are used and therefore “sold as is, where is” and no warranty is implied. Where possible, all items will be reset back to their relative factory defaults. Items can be inspected, by appointment, at the SeniorNet Learning Centre, 42 Pah St, Motueka. Please email us to make contact. The highest, or any tender, may not necessarily be accepted. Successful tenders will be notified by email on the Monday, following the close of the tender and only successful tenderers will be notified. If the successful tenderer fails to follow through with the purchase within 7 days of being notified, the item will be offered to any other tenderer and the defaulting tenderer may have any subsequent tenders considered void. Should no tender be received for any particular item, then the Executive Committee shall either re-tender the item or dispose of it in any way they consider it suitable. The winner of the tender, shall make arrangements to pick up the item from the Learning Centre by arrangement agreed by both parties and shall incur all costs associated with such arrangement, if any.